My mother used to say: 'You have to have money to save money'. And for the most part, she was right. But this isn't the standard advice young Australians are given at school. Most young people grow up hearing that if you spend less money than you earn, and save a nice percentage of your earnings each week, all your financial problems will be solved. While that's nice in theory, our financial literacy programs are just that; theory. The National Financial Literacy Strategy 2014-17 defines financial literacy as 'the combination of financial knowledge, skills, attitudes and behaviours necessary to make sound financial decisions, based on personal circumstances, to improve wellbeing'. Put in action, financial literacy means individuals are able to 'understand and negotiate the financial landscape, manage money and financial risks effectively, and pursue and attain financial and lifestyle goals'. It is a core skill and, thanks to increasing tertiary education costs, rising job insecurity and high housing costs, it's a skill young Australians need to master earlier than their parents did. 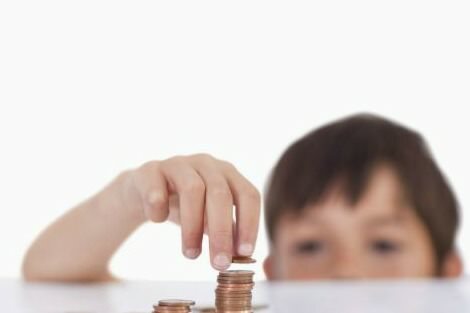 This is why the Australian government developed its National Financial Literacy Strategy and the Australian Securities and Investments Commission (ASIC) MoneySmart Teaching program, which aims to integrate consumer and financial literacy education into the school curriculum. The program is designed to help young adults become more 'financially responsible' by providing 'financial knowledge'. But is knowledge enough? Especially when we know there is a large gap in financial literacy between young people from the most advantaged and disadvantaged backgrounds. The 2014 ANZ Survey of Adult Financial Literacy in Australia found that groups with the poorest financial awareness and skills are those under 25; those with no formal post-secondary education; those on low incomes and working 'blue collar occupations', and women. While it makes sense to provide these groups with financial information on home loan interest rates and superannuation, this advice wouldn't have helped my mother. Especially when she had to decide between buying groceries for the week or getting the car serviced, knowing full well that by delaying the service she would be doing further damage to the car and, therefore, the bill from the mechanic would be more. "Teaching people to make sound financial decisions from a place of relative financial security is one thing. Teaching people how to make decisions based on real-life scenarios with no ideal financial solution is another lesson altogether." It's a fact that people with low incomes pay more for everyday staples and services — from toilet paper to bank fees to car insurance — because of personal circumstances often associated with lower economic status such as renting their house instead of owning. Even with extensive financial knowledge, a large percentage of Australians still wouldn't be able to attain their lifestyle goals due to our complex financial systems. Teaching people to make sound financial decisions from a place of relative financial security is one thing, however, teaching people how to make decisions based on real-life scenarios with no ideal financial solution is another lesson altogether. But this is only half the problem. According to the2013 National Financial Literacy Strategy — Background Report, attitudes and beliefs about money, as well as confidence levels, influence people's knowledge and understanding of financial matters. Yet, little time is being devoted to teaching students how to avoid financial problems and break the cycle of debt. Red, final notice reminders were commonplace on my fridge, hidden among the finger paintings and birthday invites. As were my mother's friends who'd drop by to return the $20 they'd borrowed for a layby payment, or to lend my mum money to pay the electricity bill before the power was turned off. Being in a constant state of debt was unavoidable and even accepted. Individuals who fall behind financially often turn to payday loans not because they think it's a sound financial decision but because they have no other choice. Their financial options are limited because they are unable to qualify for a credit card or personal loan. But they can qualify for payday or interest-free loans that have been designed specifically to take advantage of this fact. Without a greater availability of low-cost financial products and services, people are left with two options: payday lending or emergency relief services. Breaking this culture of financial debt and dependency is difficult, especially when financial literacy is focused on explaining how things work and not where to access information to help make the right decisions. Financial confidence comes not from having a bank account but from being in control of one's own finances. An individual's ability to make the most of their money, manage financial risks and avoid financial pitfalls not only has a positive impact on their financial wellbeing but also on their families and communities. This is why we need to rethink what it means to be financially literate. Our national financial literacy program needs to shift the focus from individual 'responsibility' to 'capability', and from theory to real-life examples that don't reward students for reciting terminology but empower them to use their money to improve their wellbeing. Recent articles by Rachel Kurzyp. "Without a greater availability of low-cost financial products and services . . ." Maybe we need to apply some third world solutions here in this rich playground, like micro-credit. Thank you for this down to earth analysis Rachel. You are right Rachel. There are far to many people in our communities who simply don't have enough money to cover the basics, let alone the unexpected crisis. The divide between rich and poor in our "lucky country" gets ever wider. Good article. It's interesting that financial counsellors do present financial literacy programs to both groups of adults and school groups -they definitely are the experts in this field. Unfortunately funding is hard to get to pay their salaries, so there are not nearly enough FCs and long waiting lists for their services. As for microcredit - we've had an excellent and expanding microfinance program in Australia for the last thirty or so years. Check Good Shepherd Microfinance for details of this (I'd say most social support services are aware of this service). It was bizarre once witnessing one of these educational programs being conducted in an NT aboriginal community. Very different values and social assumptions. This article should be compulsory reading for every behavioural economist lurking inside Treasuries around the country. Poverty is not a choice made by people who are poor. It is a choice made by governments. You cannot 'nudge' people out of poverty through financial literacy programs or by punishing them for making 'irrational' decisions. Poverty and everything terrible that flows from it will only change when governments take responsibility for real structural change so that parents are no longer forced to fix their dentures with Super Glue and wear shoes that don't fit so that their children can eat breakfast or go to a school excursion. Financial literacy will not help make the choice between being cold in winter or paying rent, or which child gets the antibiotics when you can't afford doctors' visits or prescriptions. No amount of financial literacy or other nudging by governments helps when these real decisions need to be made. Well said. My mother also faced the same dilemmas, along with many others we knew. The cost of our clothes, new, were paid weekly to a travelling seller, at exorbitant interest. All our presents were paid off through lay by or home made, no money for holidays or days out. If we found enough empty bottles and returned them to the milk bar for the deposit, we might have enough for a visit to the pictures a couple of times a year. I can still see my mother juggling the finances weekly, robbing from money put by for one bill to pay another due sooner. Somehow we managed, but I laugh in derision when I hear politicians who have never known any degree of economic struggle tell people they will be OK if they save enough from their money. So many don't have enough to survive e.g. those on Newstart, let alone save any "surplus." Out governments have managed with great skill and mismanagement to create a genuine slave/beggar class. So much for the Australian 'fair go.' The reason I am tertiary educated is because of the scholarship system existing formerly, which enabled me to be educated to my potential.